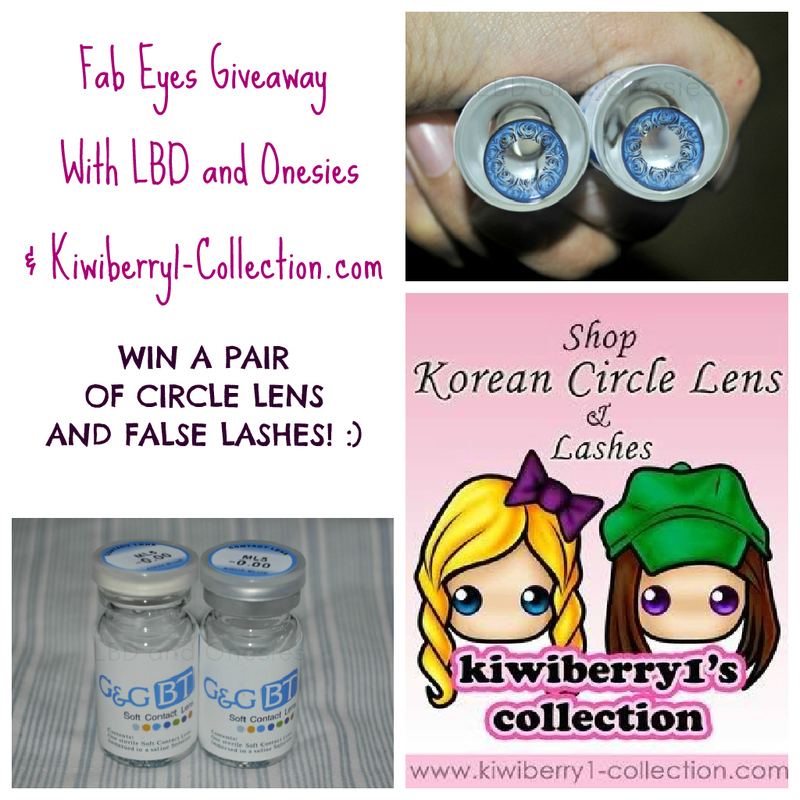 LBD & ONESIES - A Lifestyle Blog: Fab Eyes Giveaway with Kiwiberry1-Collection! 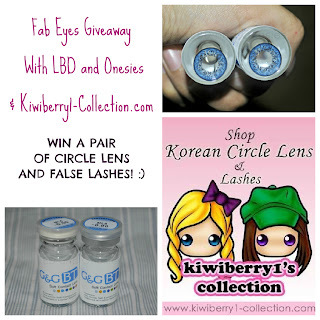 Fab Eyes Giveaway with Kiwiberry1-Collection! How's everyone? :) It's been rainy and gloomy here in Manila for the past few days which made it hard for me to do outfit posts. Anyway, I have another circle lens giveaway for all of you! Yay! This one is sponsored by Kiwiberry1-Collection.com. They have also sent me 2 pairs of circle lens which I made a review HERE. A pair of circle lens, a box of false eyelashes, and an exclusive 50% discount code all from Kiwiberry1-Collection.com! You may choose the color and diameter of the circle lens, and the staff will pick out a pair which suits your choices. The box of false lashes would also be randomly chosen. As for the code, it will be sent via email and you may use it only once within 6 months after receiving it. The giveaway will run from August 2 to September 6. That's my birthday! Teehee! Kiwiberry1-collection.com will ship the prizes directly to the winners. - Go to Kiwiberry1-Collection.com and tell me your chosen color of circle lens and diameter! Also, include your email address. Chosen diameter and color:14.5mm-15mm and grey or red. wuold you like to follow each other? Love the false lashes! They look great when they are on. oooh wao i was looking for some lenses!! !could i buy some of those somewhere? Lovely products:D The neon green is cool. Wow they look so cool !! Wow~ Thanks for the giveaway! I need with prescription though. Violet (or grey). A vibrant colour. Great giveaway! So glad I found you! I would love to have EOS Super Nudy G207 Grey. Color: EOS G211 Super Cotton Blue. G&G/Dueba 3-tone Princess Mimi (Bambi) Series. I would choose grey and 14.5mm. I dont what size though!! how to measure?? Geo Angel Grey for me! These are gorgeous, thanks for sharing! aww I missed the giveaway!.. Didn't have internet access and just saw your email lol. Great giveaway though! looking forward to the next one!